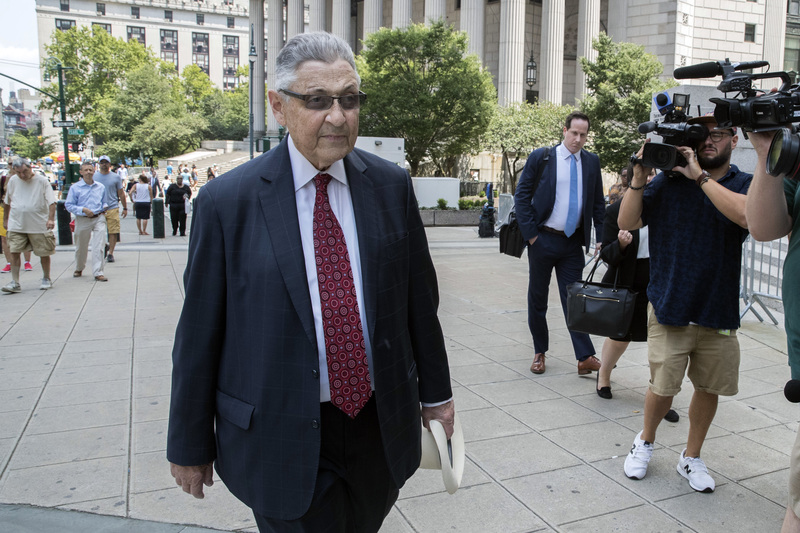 MANHATTAN (CN) – Twice convicted of corruption, ex-New York Assembly Speaker Silver won a Second Circuit reprieve Wednesday that will delay a seven-year sentence previously set to begin this week. Originally set to report to prison on Friday, the 74-year-old Democrat has been adept at slowing down the hands of justice since his indictment in January 2015. Two separate juries eventually found that Silver accepted $3 million in bribes through two law firms, but Silver escaped his initial sentence in the wake of precedent that weakened federal anti-bribery statutes. The U.S. Supreme Court decision McDonnell v. Virginia effectively made it legal to pay for political access, and Silver has used that 2016 precedent to bolster denials about the work he did for multimillion-dollar benefactors. “Federal bribery law doesn’t prohibit everything that is bad or distasteful,” Silver’s appellate attorney Meir Feder said Wednesday, summarizing McDonnell at a roughly hour-long hearing before the Second Circuit. A three-judge panel concluded the proceedings today by agreeing to grant Silver’s bail application, a move that could put off the start of his sentence until at least the end of the year. As U.S. Circuit Judge Jose Cabranes read the decision from the bench, he emphasized that the holding is not intended to minimize the “gravity of the offenses charged” or comment on the merits of Silver’s appeal. At the hearing, attorney Feder argued that federal prosecutors and U.S. District Judge Valerie Caproni effectively “neutered” the effect of McDonnell with a jury instruction that he contends downplayed the need for proof of a corrupt agreement. U.S. Circuit Judges Barrington Parker and Robert Sack concurred in the ruling today and expedited Silver’s appeal. The parties are slated to complete their written briefings by Dec. 3, 2018. A hearing date will be scheduled at a later time.